If you are a senior and would like to learn more about Reverse Mortgage in New York & Pennsylvania, our experienced loan officers at Artisan Mortgage Company would be pleased to talk to you and explain how HECM loan works. Reverse mortgage in New York & Pennsylvania, also known as Home Equity Conversion Mortgages (HECM), can provide the cash flow you prefer to provide for your retirement lifestyle. With a reverse mortgage in New York and Pennsylvania, you proceed to own your home with the lender making payments to you. To learn more about HECM mortgages eligibility & benefits and to get rid of your monthly mortgage payment and keep your house, call us at 1-800-499-0141 or fill out the form to get started! The Federal Housing Administration (FHA) governmentally insures the program and the Department for Housing and Urban Administration administers the program. In the mid 1980’s it was apparent that many senior citizens had not prepared adequately for retirement or had been adversely affected financially by circumstances beyond their control. Many found themselves in positions of being equity rich and cash poor and had a great degree of difficulty in making ends meet. Credit card debt and even equity lines of credit were used just to fund their month to month budgets. Ultimately, many used their life savings and had to sell their homes living on the remaining equity payout which was eventually exhausted. Ultimately, seniors then began to look for Government Assistance programs. How a Reverse Mortgage in New York & Pennsylvania Works? The applicants must be at least 62 years old to apply for HECM Reverse Mortgage in New York & Pennsylvania and get cash from the equity in their homes. Since income is secured by the house, poor credit is OK. No matter how bad the credit score is it does not impact qualifying for Home Equity Conversion Mortgages. You keep the property tax and hazard insurance paid and current. Leave your house to whomever you wish. Children, grandchildren – it’s your choice. The title to your home remains in your name. More and more senior homeowners have discovered that this program is a smart financial move. See the world, or visit family and friends. Do what ever you want with the money…no questions asked! You never lose control of your home. 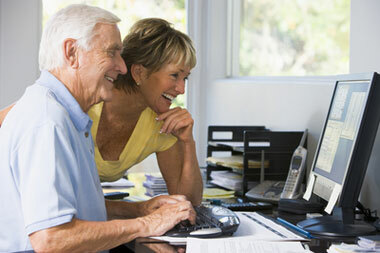 Living independently in your home without financial worry as you get older is not just a dream. You can do it – and more - with a little help from us. We can offer expert guidance on reverse mortgage in New York and Pennsylvania that will match with your personal financial situation. We are here to make every step easy. You can secure an income or get cash for whatever you need in just a matter of weeks from your application date. Did you know that the U.S. Congress has approved a program that pays off the mortgage on your house, pays you to live in your home for the rest of your life, and it remains yours? You can use the income for anything you choose, such as living expenses, travel, paying off debts, buying a new car, home remodeling, medical care, assisted care or prescription drugs. Anything - It's Tax-Free! This program is guaranteed and insured by the Federal Housing Administration (FHA) and directed by the Department of Housing and Urban Development (HUD). Get paid to live in your home. Live the retirement lifestyle you’ve dreamed about. Get rid of those nagging financial worries and gain peace of mind. Keep the title to your home knowing it’s yours for the rest of your life. Artisan's mortgage loan consultants are waiting to help you find your next potential loan, and they can help you determine whether you may qualify for a mortgage. When you're ready to live the retirement you’ve dreamed about, get in touch with our loan experts at (800) 499-0141 to learn more about reverse mortgage in New York and Pennsylvania eligibility requirements & benefits, including areas of Long Island, Queens, Brooklyn, Staten Island and Manhattan NY and to get approved for HECM mortgages.